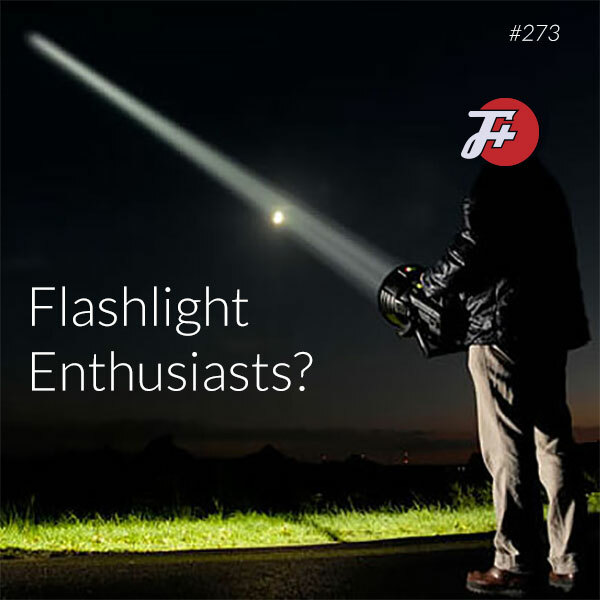 The F Plus | Flashlight Enthusiasts? There's a couple hundred thousand members of CandlePowerForums and I don't mind telling you: those folks are really into flashlights. In what is probably our most jargon-filled episode, we're exploring the predilictions of these (exclusively) men who want to share their obsession with their wives and children, who are having none of it. This week, The F Plus is attaching the tube to our tub, and the tub to our tube. into flashlights. In what is probably our most jargon-filled episode, we're exploring the predilictions of these (exclusively) men who want to share their obsession with their wives and children, who are having none of it.